Emirates is one of the largest international airlines in the world, with flights to 11 US cities every day. After Trump signed an executive order to ban citizens of seven Muslim-majority countries from entering the US, the airline said it has had to make “the necessary adjustments to our crewing, to comply with the latest requirements,” an Emirates spokesperson told Reuters. Flight rosters, including pilots and flight attendants from the seven countries affected by the travel ban, for select US-bound trips have reportedly been changed. But a second spokesperson later told Reuters changes have been minimal so far. 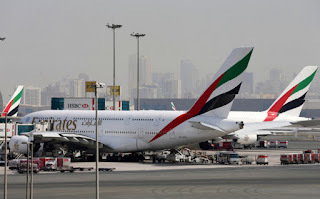 What remains unclear for Emirates, and other international airlines, is if the order also affects dual citizen airline employees — those with one passport from a country on the ban list, and one with that is not on the list. There has been mass confusion among government officials in other countries about dual nationalities. However, according to the US State Department, The Guardian reports dual nationals will be affected by the ban. President Trump responded to worldwide criticisms and confusion on Sunday saying the bans are “working out very nicely,” especially at international airports. “You see it in the airports, you see it all over, it’s working out very nicely, and we’re going to have a very, very strict ban,” he said. 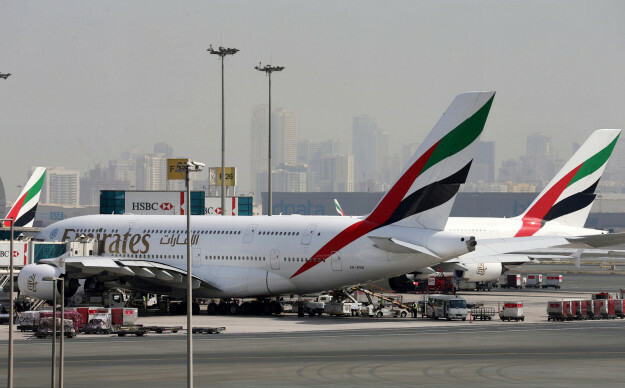 Emirates airline assures customers that during this time all US-bound flights should still operate on schedule, a spokesperson said.